There are several reasons that you may wish to lighten your skin, such as blemish scars, sun spots or a terrible tan. Usually, skin lightening formulas contain harsh chemicals that can exacerbate skin problems or cause unwanted results. Additionally, they are often expensive and come in small containers. Fortunately, you can lighten your skin at home with a few natural methods. Roll a lemon between your hands to break down the cell barriers and unseal the juices. 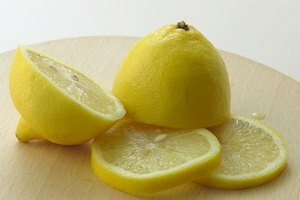 Cut the lemon in half and squeeze the juice onto your skin. Rub the juices in and let them absorb for 15 minutes before rinsing your skin with cool water. 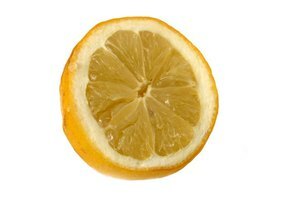 Lemon juice is known for its bleaching abilities but can also be irritating to sensitive skin. This method may be most effective when followed up with a skin moisturizer. Make a paste out of oatmeal and tomato juice and apply to the skin. Tomatoes are high in Vitamin C which is a natural antioxidant. This chemical can slow the production of melanin which makes the skin appear darker in tone. The exfoliating characteristics of the oatmeal will help remove old, darker skin cells. Keep the paste on your skin for 20 minutes before rinsing with cool water. Blend a tablespoon of flour with two tablespoons of cold milk and 2-3 drops of lime juice. 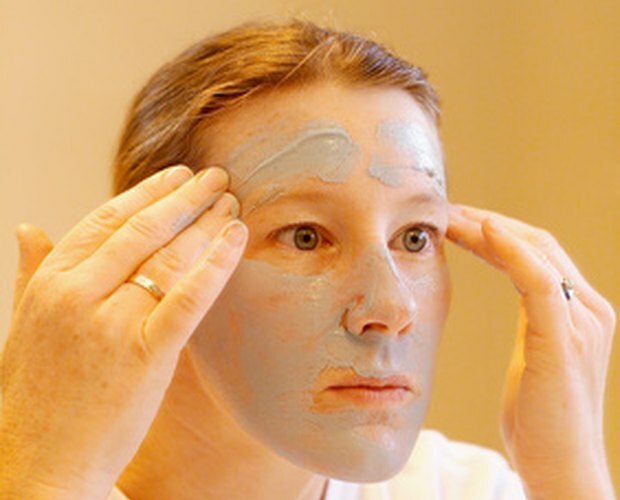 Blend until the consistency is smooth and apply as a mask for 15 minutes. Repeat every day for a month for best results. The lactic acid present in milk assists in deep penetration of lightening chemicals into your skin. You can also make a paste out of crushed, dried orange peels and milk to make a great Vitamin C and Lactic Acid skin paste. Grind mint leaves into a paste and apply to the skin and face. Mint leaves are high in Vitamin C and Niacinamide which reduce the production of melanocytes to keratinocytes in the skin. These chemicals produce darker skin cells so inhibiting them with Vitamin C and Niacin can assist in producing a lighter, clearer skin tone. Repeat the use of this paste every day for two weeks to achieve a gradual lightening of the skin. Keep skin away from too much direct sunlight. Hanging out in bright sunlight allows the body to produce Vitamin D, which is vital to healthy skin and body. The best solution to maintaining a light skin tone without avoiding all sun exposure is to applying a light, moisturizing sunscreen to your face and body. Soak four to five almonds in a bowl of water overnight. Crush them into a fine powder and blend with one to two tablespoons of honey. Honey has a great sticky consistency that's perfect for suspending herb and powder blends for masks. Almonds are high in Vitamin C but also contain Vitamin E which is an antioxidant that helps fight cancer and dark skin pigmentation---not to mention their texture makes a great skin exfoliate. Apply the mask to your face and skin and allow it to dry. Scrub the mask off with warm water and repeat a few times a week for best results. It is recommended to stay away from harsh, man-made chemical creams that may damage or irritate your skin.